Recorded and Mixed at Saint Claire Studio in Lexington, KY. Mastered at The Lodge, NYC. Rain and train whistle recorded on 9/25/07 in Masterson Station, Kentucky, along Route 1977. 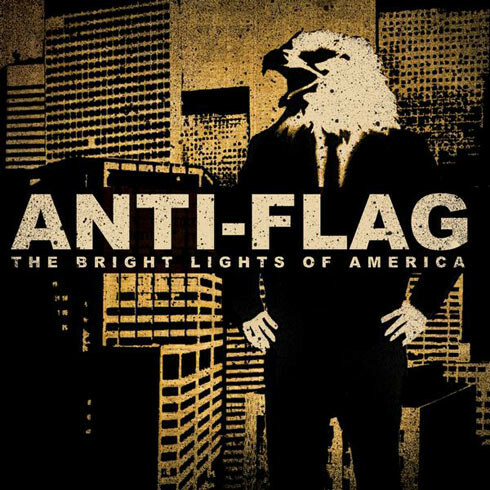 The DOUBLE DISC vinyl version of Anti-Flag's "The Bright Lights of America" album. Three sides of music, with a laser etching of the eagle man from the cover on the fourth side. All copies include an exclusive double-sided poster/lyric insert. This release contain 2 bonus tracks "I'm So Sick Of You" and "Wake Up The Town" on side C.